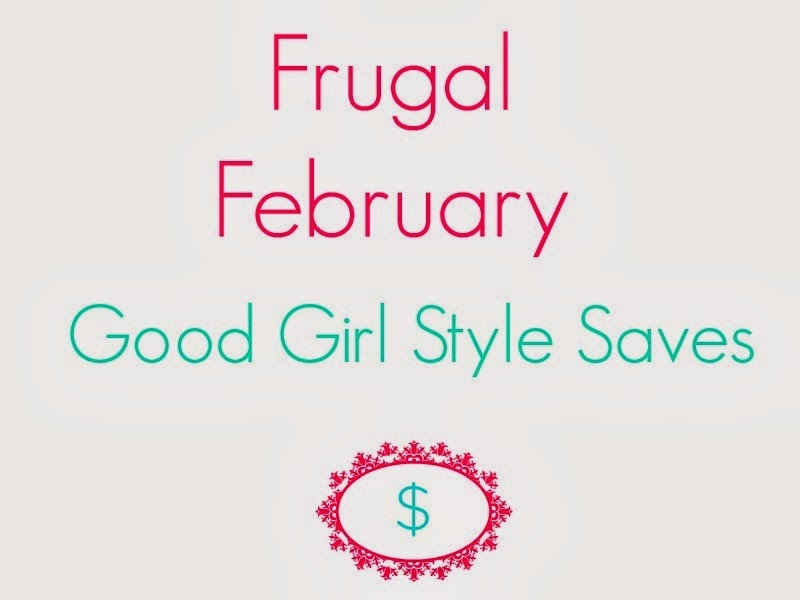 It's Frugal February Friday here on Good Girl Style and I'm discussing finances every Friday during February. I'd love your two cents (or a dime or a dollar!). I'm so old-school sometimes, even when it comes to finances. I really prefer to use checks and like the control they allow me to have over my finances. Besides, any opportunity I have to "pretty-ify" my life, I'm all about. My old checkbook cover, the standard-issue blue one from the bank, was in sorry shape and I was in the market for a new, pretty checkbook cover. A store in my town happened to be clearing out Vera Bradley, and they had one lonely (LOVELY!) checkbook cover left for 75% off. I couldn't resist this amazing vintage-modern pattern (Cocoa Moss) and color scheme for $5. Are pretty checks more expensive? Nope. They are about the same, but with discounts offered all the time! I think sitting down and paying my bills allows me more control over my finances and forces me to pay attention to where my money is going. 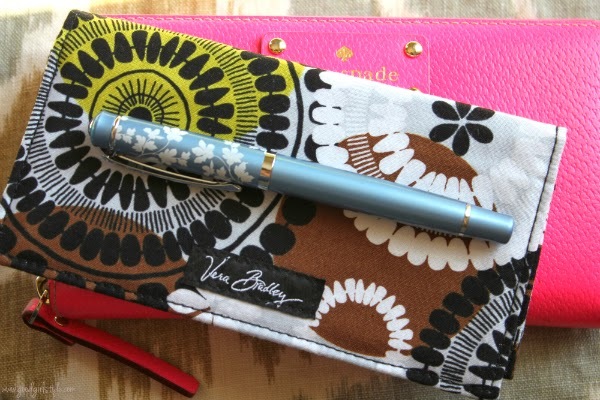 Writing out a check helps me realize I'm investing my hard-earned dollars and gives me more awareness of my spending. You might be paying for a service you no longer need, but it's "out of sight out of mind." I prefer to sit down and see exactly where my money is going, to look at paper bills for discrepancies, see what services I'm actually paying for every month and have a record of it all (I love duplicate checks). And it's just somehow so satisfying. We all know I'm a mail girl, even if it's a stack of bills. Auto-pay or online bill pay is certainly convenient, potentially more environmentally-friendly, and saves on postage. If you ARE going the e-pay route, I personally wouldn't recommend the auto-pay option unless absolutely necessary and if you check up on it regularly. I have had issues with auto-pay when companies have double-charged me or over-charged me and I haven't caught it immediately. They love to sneak new charges in there. Paying all of your bills online is fine if you prefer it and remember to keep up with it. I have done this in the past, and for me it's just a matter of personal preference. Are you a check-writer or an auto-payer? *This post contains affiliate links, which means if you purchase from my links I earn a small percentage for referring you, but you don't pay anything extra for my two cents, promise! I do it of online and checks. I like the convenience of online but I also like pretty checks! Yay, it's Frugal February again! Personally I'm an auto-pay girl, but I think that's largely due to the fact that I already have a routine to do my finances twice a month. I can totally see how paying by check is a better option for seeing where your money goes, and so you can build those good financial habits! Hello Kitteh! Those are crazy adorable!